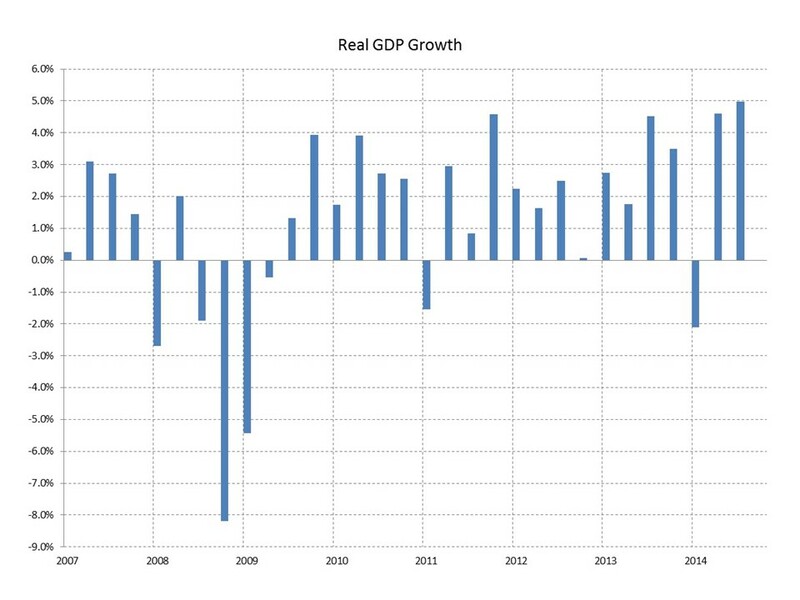 The Bureau of Economic Analysis (BEA) released its third estimate of real GDP growth for the third quarter. Growth in economic output was revised upward to a seasonally adjusted annual rate of 5.0% from 3.9% in the second and 3.5% in the advance estimate. The pace was 4.6% in the second quarter. The revisions were largely concentrated in personal consumption expenditures (PCE) and fixed nonresidential investment, a very positive signal for momentum in final demand going forward. PCE growth accelerated to an annualized pace of 3.2% from 2.5% in the second quarter. Growth in fixed nonresidential investment accelerated to 8.9% from 7.1%. The previously reported slowdown in GDP growth between the second and third quarters has been erased by the latest revision, or more likely postponed until the fourth quarter. The acceleration in PCE showed surprising strength, business investment held up better than expected, imports (which subtract from growth) are likely to strengthen, and the ramp-up in federal defense spending will be unwound generating drag going forward. We still expect strong 3.0% growth in the fourth quarter and an acceleration in growth in 2015 but the surprising strength in third quarter growth is unlikely to be sustained. ‹ New Home Sales in November – A Better Second Act?